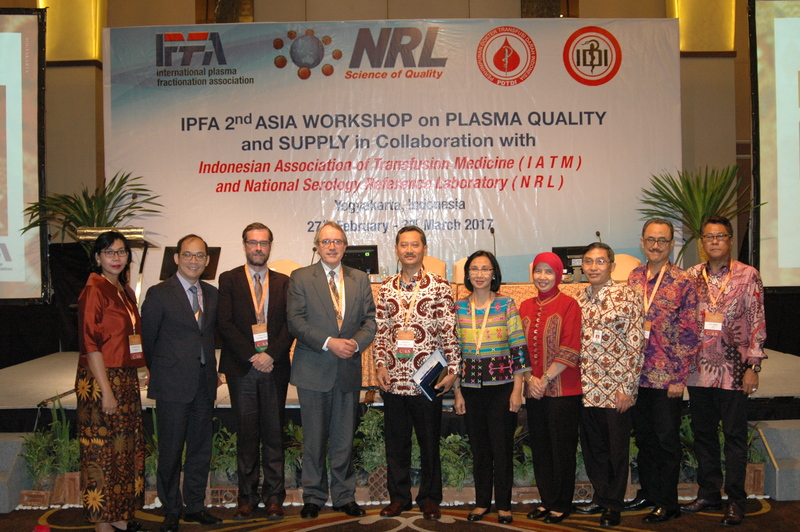 IPFA was delighted and privileged to hold its 2nd Asia Workshop on Plasma Quality and Supply in Yogyakarta, Indonesia and reflected the focus of IPFA to promote and support the increased collection of high quality plasma from National and regional communities as a critical step towards improving patient access to essential PDMPs. 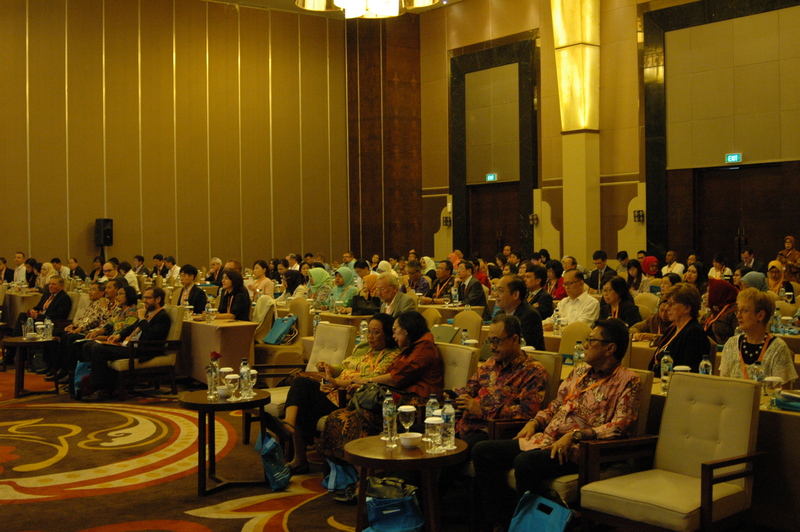 The meeting was co-organised with and hosted by the Indonesian Association of Transfusion Medicine (IATM). 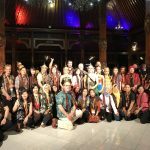 This partnership ensured that the programme was not only relevant, instructive and informative for delegates from the country, the region and wider international colleagues but also generously provided a taste of Indonesian culture and hospitality. 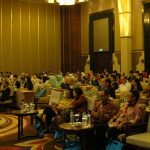 The meeting was attended by approximately 180 delegates from 29 countries – both from the Asia region and the wider international community. The decision to convene the meeting in this important region was, therefore clearly justified. We were particularly honoured to welcome Dr Bambang Wibowo (Director General of the Indonesian Ministry of Health) to open the meeting and for providing an insight into the national strategic options under consideration for increased product supply in Indonesia. He set the scene perfectly for two days of engaging presentations and discussions – always focusing on patient needs. 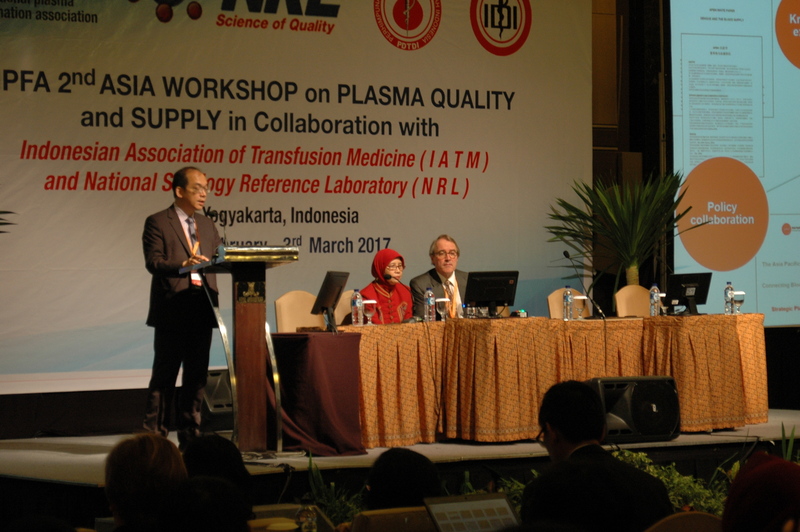 The opening session further developed this theme with excellent overviews of the status of blood and plasma supply in Indonesia and fractionation in the wider region and concluded with a typically informative and stimulating keynote presentation from Prof. Thierry Burnouf on key technical and organisational issues to be considered in the field of plasma collection and fractionation. Planning for the supply of essential Plasma Derived Medicinal Products (PDMPs) must always be underpinned by an understanding of patient needs and local health care priorities. Speakers in Session 2 of the meeting expertly addressed these issues drawing on local and international experience in widely differing health care environments. They highlighted the often major variations in product access and clinical use – but emphasized the importance of clinical guidelines to ensure optimal patient benefit from an often scarce and expensive resource. 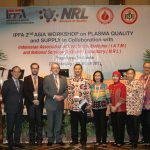 It is widely acknowledged that progress toward increased supply of plasma and PDMPs is critically dependent on the successful development and implementation of quality systems and GMP compliance to meet strict international regulatory standards for ‘plasma for fractionation’. 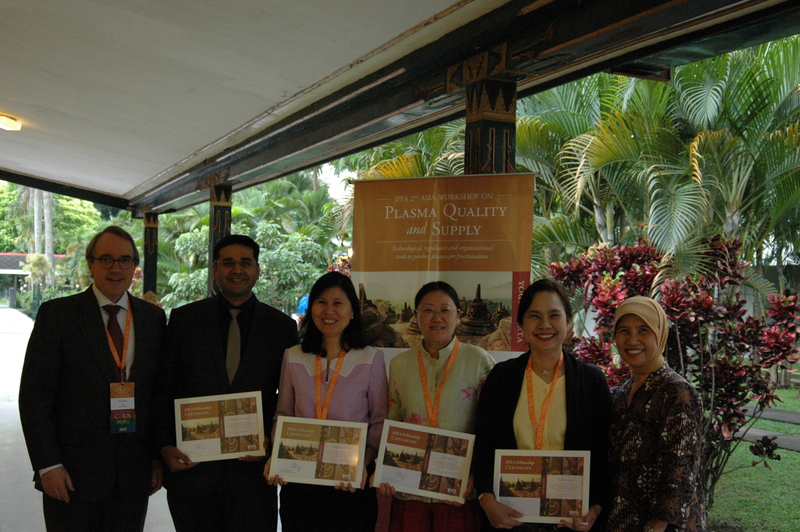 It was appropriate therefore that the afternoon of day one was devoted to a series of presentations and debate on the necessary quality systems and culture in blood establishments to meet such goals – including the much appreciated sharing of experiences from organisations involved in such programmes. Notably the afternoon sessions concluded with the impressive account of quality system development and the recent establishment of local fractionation in Thailand – demonstrating what can be achieved! 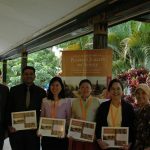 IPFA was delighted to have been able to offer “Fellowships” to enable the following people to attend the meeting: Dr Dhawan, Dr Truong, Dr Qiu, Dr Aung and Dr Narbekov. It is a tradition of IPFA meetings to include stakeholder industry in the planning and content of our meetings and this workshop was no exception. We are always grateful to industry for their sponsorship and support for our meetings but also for their contribution to the scientific programme which opened day two of the meeting with presentations from Abbott, Cerus, Grifols and Merck on key technical developments and activities in their respective companies in support of programmes in the region. 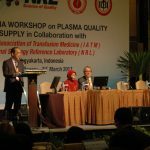 The remainder of the meeting (sessions 6,7 and 8) focused on Donor Recruitment, Plasma Collection, Screening Programmes and Recovered Plasma. 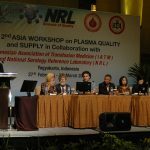 Presenters from the region and beyond (US and Europe) collectively provided a comprehensive analysis of the challenges and strategies for the collection of high quality and safe plasma based on evidence and experience in their own organisations. 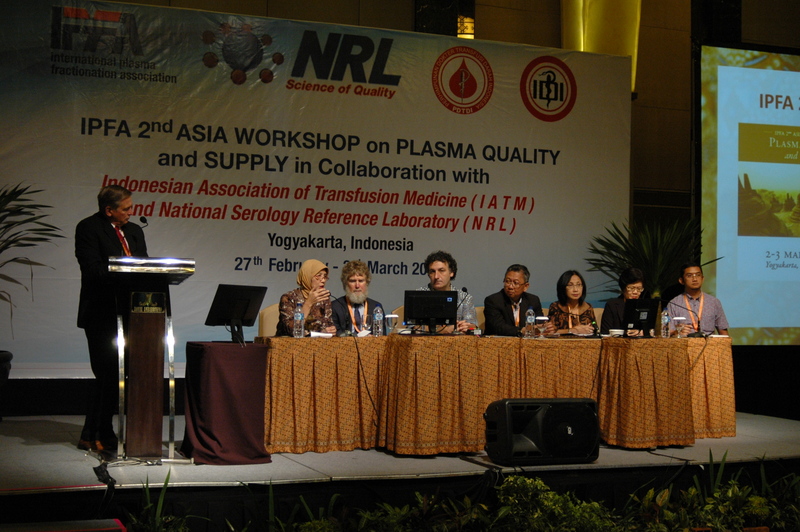 The sharing of such experiences is regarded as a key element of IPFA Plasma Workshops and known to be highly appreciated by meeting participants. 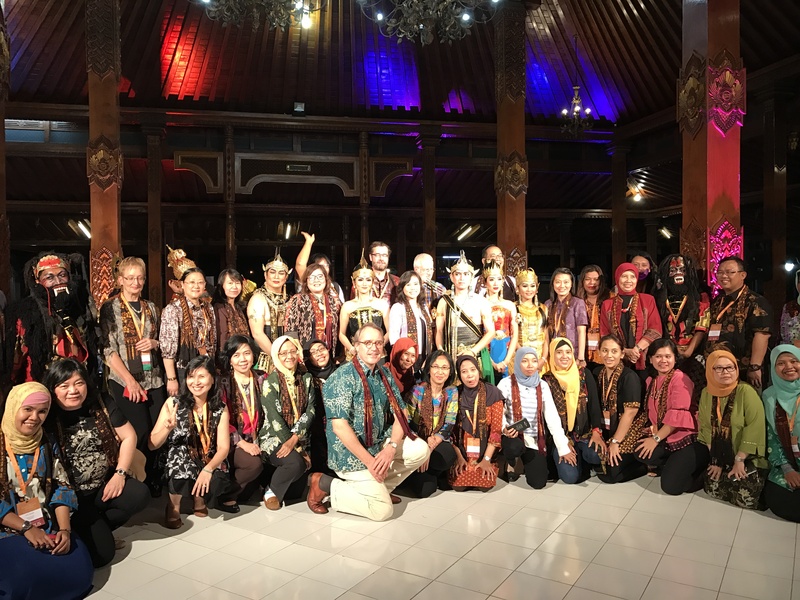 IPFA was privileged to be invited by the IATM to hold this workshop in Yogyakarta and we sincerely thank them for hosting the meeting, contributing so enthusiastically to its organisation and importantly for its generous hospitality and memorable cultural experience at the workshop dinner. IPFA has made many friends and new colleagues. We sincerely thank our industry sponsors for their support for the meeting – without which the meeting could not have taken place. Presentations to the meeting were consistently relevant, thoughtful, stimulating and generous in their sharing of ideas and experiences and we are as always very grateful for the time and effort spent by participants in making the meeting a success! Finally our important thanks to all delegates for attending and supporting the meeting. As announced at the meeting the proceedings are available on the IPFA website. Please see below. With our sincere appreciation and thanks to you all for contributing and participating in the IPFA 2nd Asia Workshop and in particular to our speakers for agreeing to publish their presentations. Please double click on the title of the presentation you wish to view.